Lewis Gibson says he is playing his “best football since joining Everton” after being rewarded for series of commanding displays with March’s Premier League 2 Player of the Month award. The 18-year-old centre-back, who signed for the Club from Newcastle United in 2017, helped the table-topping young Blues record clean sheets as they won 2-0 at Liverpool and drew 0-0 with Arsenal during the month. These results came in the midst of a five-match run of consecutive league shutouts from David Unsworth’s team. Everton are three points clear at the top of the table with two matches remaining. They can wrap up the league title with a victory over second-placed Brighton & Hove Albion at Goodison Park on Monday night (7pm). Gibson missed the majority of the opening half of the season with an ankle injury but has remained a mainstay of the team since making his comeback against Leicester City in January. The defender's strength, intelligent positioning and composure in possession has consistently impressed since his return to the side. Gibson detailed his delight to see his fine performances recognised with the Player of the Month prize. “It's a great feeling,” he said. “The start of the season wasn't great for me - getting injured, and I had kind of build myself up from being rock bottom. “To win the award now at a good time for me, it feels good. “I think the perception when you're outside of football is that when you're injured you do less but it's completely different - you do double the amount of work! “It's all worth it in the end, though, and you know the work you are doing behind the scenes is going to pay off. “I think now is the best I've been playing since I came here. With the injuries at the start of the season, I believe everything happens for a reason and I think the reason was to come back stronger. Thankfully I have done that. “It's a great team to be a part of and, in the main, our defensive record has been very good. When you see a team has got a clean sheet, you think the defence is doing well but, for me, it's the whole 11 getting the clean sheet. Everton Under-23s manager Unsworth hailed Gibson as a “deserving recipient” of the monthly award. 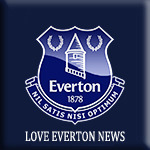 Unsworth, who made 350 first-team appearances for the Blues, pointed to the teenager’s resilience and leadership qualities as standout attributes. “To come back from his injury and rehab as well as he has done - getting back into the team and performing consistently over a period of time - it's what we ask for and what we strive for,” he explained. “His performances in the Under-23s have been fantastic over a number of months and long may that continue. “He's a key member of the team. Vocally, he's a leader at such a young age as well, that's the potential we saw in him and that's why we were so keen to bring him to the Football Club. “We had a slot in his position and myself and [Professional Development Phase Recruitment Officer] Jamie Hoyland thought Lewis was the best in the country. Gibson’s attention now turns to Everton’s potential title decider against Brighton under the lights at Goodison on Monday night. The young Blues were edged 4-3 at Manchester City last time out but the centre-back says the mood remains positive in the camp. He is convinced the team boasts the tools to overcome the Seagulls and secure a second Premier League 2 title in three seasons. “We're all confident still,” he said. “The defeat against Man City is a one-off and we don't really look back at the past, we look forward. “I think we've been playing well. We just need to take that form into the Brighton game.